Hemoba Foundation (Blood Foundation) in Brazil partnered with Bahia football club Esporte Clube Vitoria to run “My Blood is Red and Black”, an award winning integrated advertising campaign. 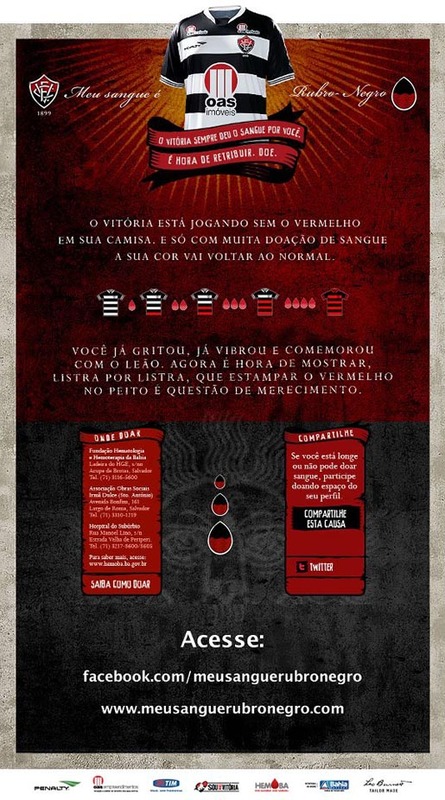 The state of Bahia was experiencing a shortage of blood. 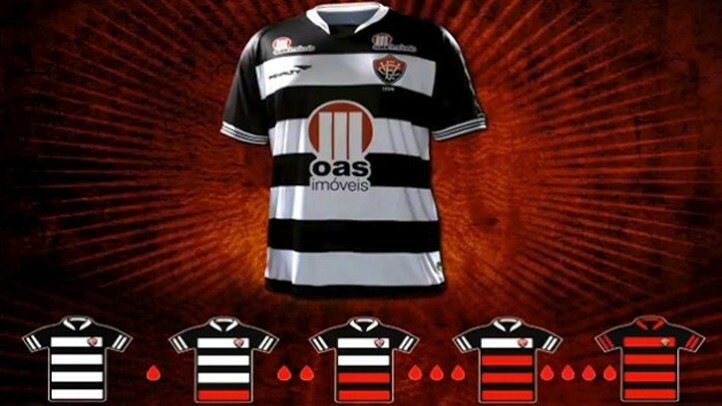 To raise awareness of this problem and increase the blood stocks, the popular football club changed the stripes of their iconic jerseys from red to white. The team only replaced the red on the jerseys stripe by stripe over the course of the season, as blood stocks rose. 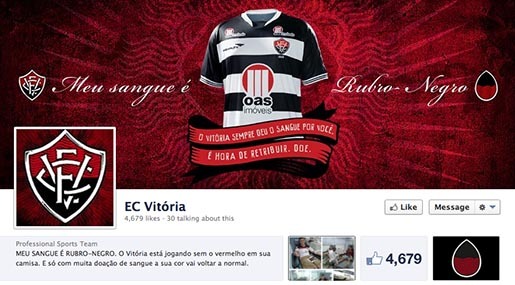 This promotional act earned Vitoria enormous publicity and helped solve a pressing health problem in Brazil. 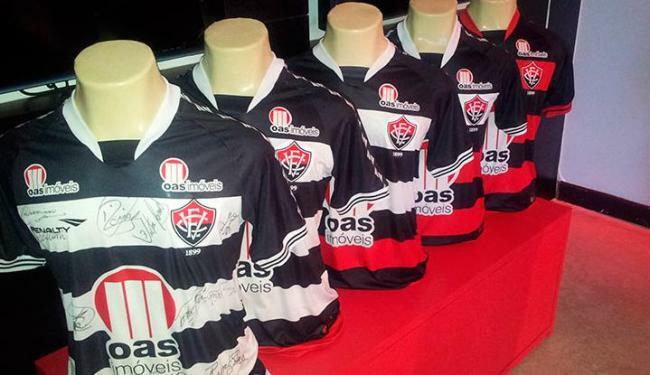 The campaign recently was recognised at the International Andy Awards with the Richard T O’Reilly award for Public Service, Gold for best use of a celebrity and Silver for Public Service. 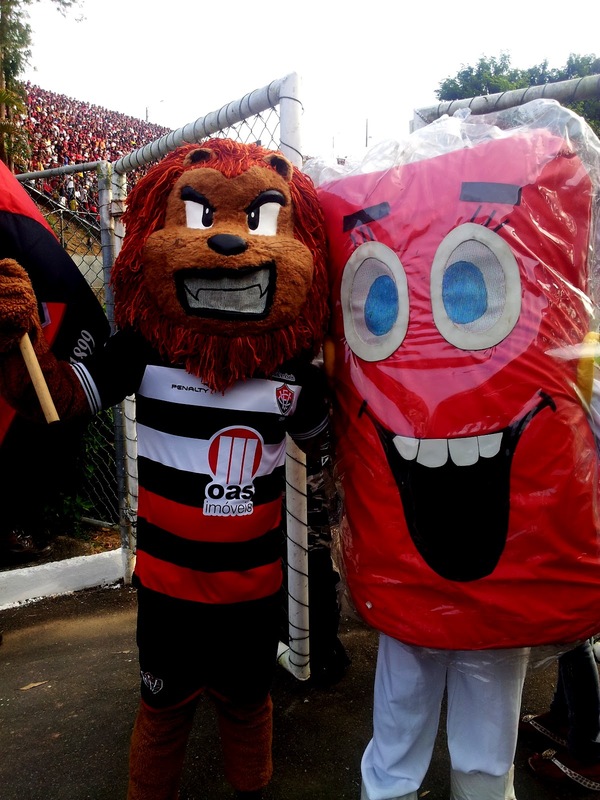 Vitoria mascot Leo and Hemoba mascot Ze Bolsinha push the message at one of the home matches. 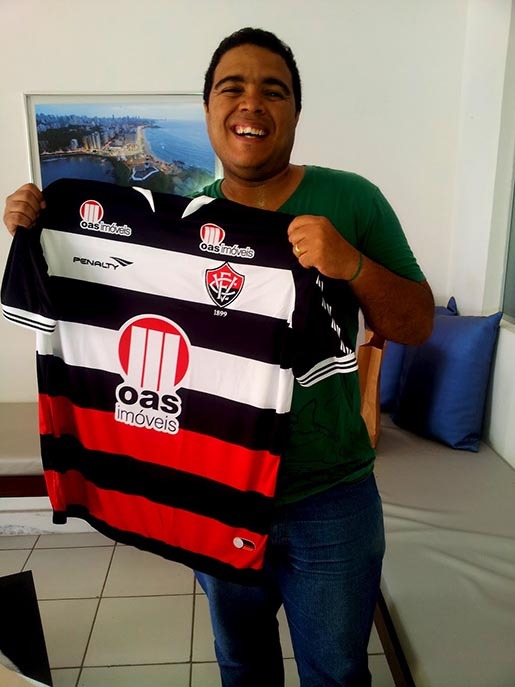 The Galactic Online site raffled an official campaign shirt to people who had donated blood at one of the Hemoba units between 24 and 30 July and registered on their site. The lucky winner was Leo Sousa Santos, a fanatical supporter and regular blood donor. 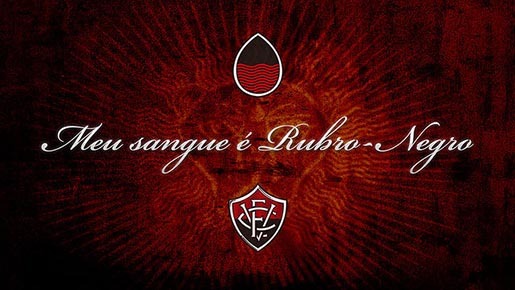 The Red and Black campaign had its own Facebook page, facebook.com/meusanguerubronegro and microsite, meusanguerubronegro.com.br. 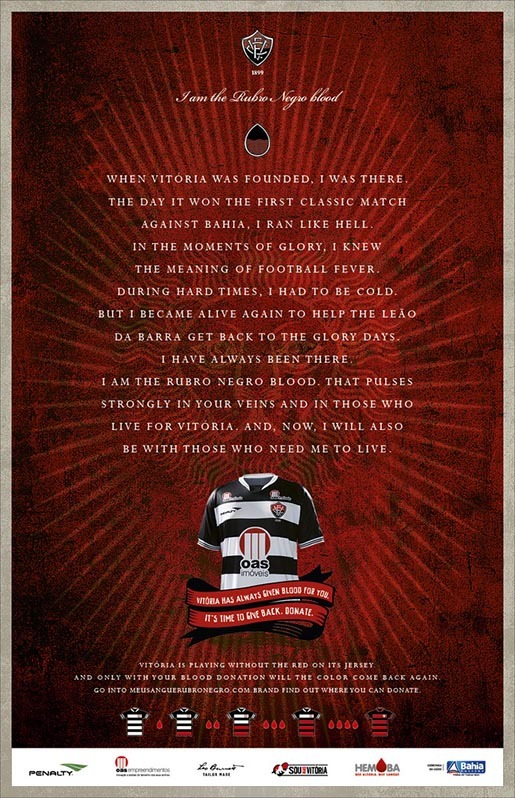 The Red and Black campaign was developed at Leo Burnett Tailor Made by executive creative director Marcelo Reis, creative director/art director Guilherme Jahara, creative director Rodrigo Jatene, art directors Rodolfo Fernandes and Alexandre Pagano, copywriters Erick Mendonça and João Caetano Brasil.